I was driving home when my mom called me to tell me the news about Tim Russert's sudden death today. 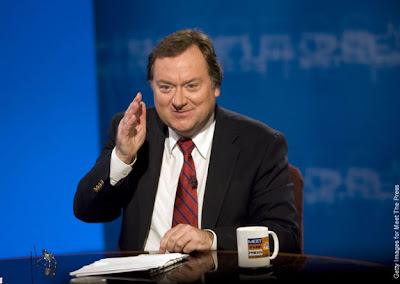 Now I am not way into politics or a news junkie by any means, but boy do I love me some Tim Russert. So this news just breaks my heart several times over. I'm a big Today show fan - he often drops in there as NBC's political correspondent, and of course he has hosted Meet the Press on Sunday for the last 17 years or so. He was apparently in studio doing voiceovers for this Sunday's show when he collapsed today. He was only 58. What I liked about Tim was that he just seemed so very genuine. Everyone talked about what a family man he was. It's kind of ironic that he passed this Father's Day weekend because I actually gave his book to my dad for Father's Day last year. There's a gift idea for ya... it's a wonderful compilation of letters and stories about dads. Inside the cover I added my own letter for my dad and he loved it. Lots of love and prayers to the Russert family. My heart breaks with yours. Well I am glad to know that I am not the only one who is upset and will miss Tim. I love "Meet The Press" and have made a habit out of watching it on Sundays with my husband. Not sure if I can watch it again and see someone else as the host. I second everything you just said! Meet the Press/NBC News will not be the same. 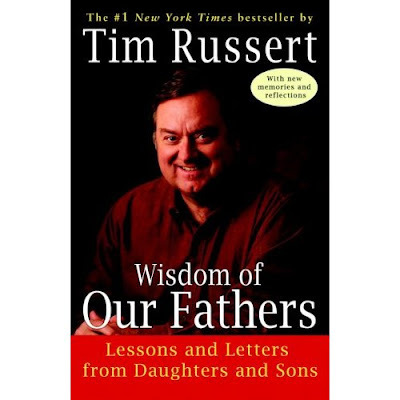 I was also sad to hear about the passing of Tim Russert. I went online at work to check the weather forcast & it was breaking news on my local NBC affiliate's website. It is just so sad and so sudden. I was saddened as well by his passing. I have actually been really bothered by it. For some reason, he has always reminded me of my own father, as they are the same age and have that calming voice of reason I love so much. I cried through the Today Show yesterday and am fully prepared to cry through Meet the Press today. He was just an all around good guy. I just adored Meet the Press. Never missed it. It's just so sad. He was so young and really loved his son. Very very sad. Old married farts we are. It's not just YOUR day. Time for some hanky panky! It's all about fun (and getting it for less).